It may not have been the reason that brought you to the mat, but your yoga practice has allowed you to connect with yourself on a deeper level. In the hustle of your busy life, it may actually be the only place that you let yourself focus on the present moment and connect with your mind + body through breath. These three simple things can help you stretch that beautiful bliss into your life off the mat. #1 – Leave your smartphone behind. On purpose. I went to my favourite Saturday morning class and I left my phone (whose battery power was oh-so-low) on its charger at home, and this incredible thing happened. In the final savasana, I didn’t hurry out of the studio. In the change room, I didn’t immediately make a b-line to my locker to check to see who had tried to contact me. Walking out to my car, my thoughts didn’t wander to my next appointment, or my inbox, or how many ‘likes’ my most recent Instagram photo got. My thoughts, still blissful from a fantastic practice, stayed right there in the moment - where they belong. 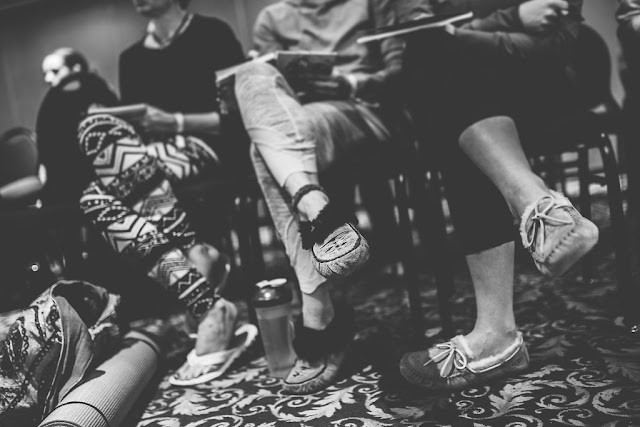 The time you set aside for your practice is your time, unplugged from electronic devices and the distraction they bring. Extending that time naturally extends your bliss off of the mat. Putting pen to paper is meditative, cathartic, and allows you to connect with your deeper thoughts. You don’t need to be a writer to benefit from journaling. In Julia Cameron’s renowned workshop, The Artists Way, writing Morning Pages (three pages of stream-of-conscious thought) is the key tool to connect to your creativity and spirituality. What you write doesn’t have to be grammatically correct, poetic, or even make sense! Writing out your thoughts beings clarity to them, and gives you a safe space to express your dreams, goals, and fears. Don’t think you have time to journal every morning? Make it part of your routine, alongside your morning cup of coffee. Intention isn’t just a zen-word that your hippie yoga teacher likes to use to make your class more interesting. Intention is an important part of your practice – use it correctly and it can be something that helps you live a more inspired life off the mat. Don’t know what your intention should be? Don't be overwhelmed, start simple: to practice from a place of love; to remain in the moment; to let go of judgment – of others and yourself. Each time your thoughts drift away, bring them back to your intention and focus on it. Rachelle Taylor is a yogi, writer, photographer, and the founder of Prairie Yogi Magazine. Taylor forged a deep connection to her practice while living in the Cayman Islands on a three-year working holiday. 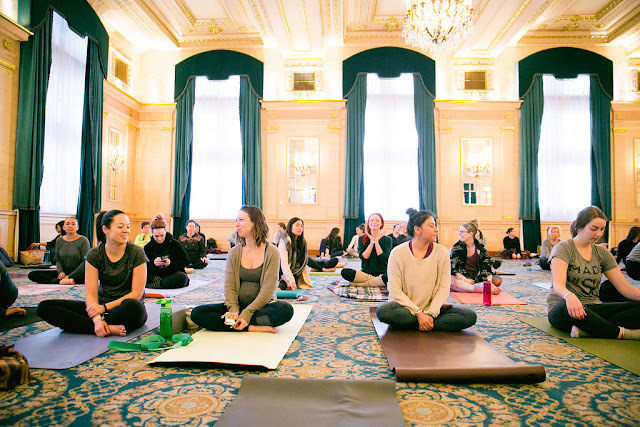 The return to her hometown, in the heart of Canada, inspired her to create PY with the intention to inspire, educate, and bring together the strong yoga community of the prairies. She currently lives in Winnipeg, Canada.